As well as the punts hired out by the local companies, there are small punts like this one. Out in the river they look more vulnerable. As often as not they stop off somewhere; one person gets out and collects some shopping and then they punt back in the direction from which they came. It’s a whole other world. Perhaps the punts ‘go with’ the Colleges. I love nothing better than punting on the Cam in the sunshine. 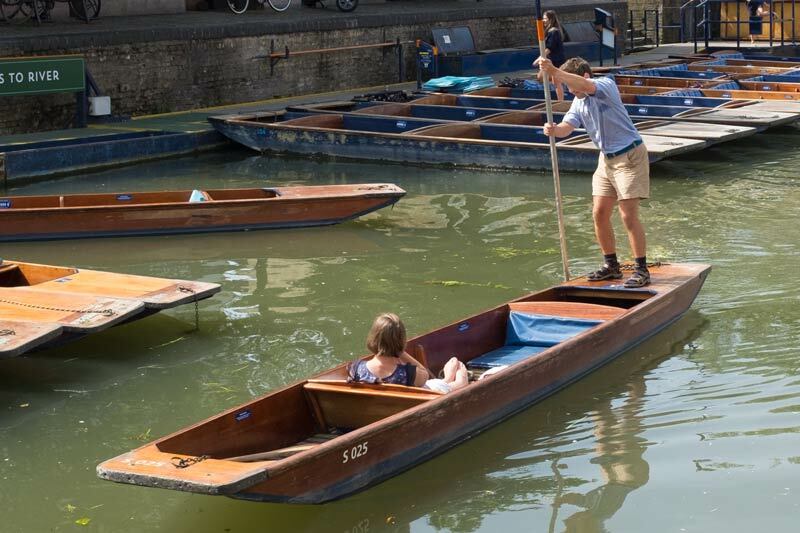 The Colleges do have their own ‘fleets’ of punts, which are used by students and Fellows alike for leisurely purposes as well as running errands! Thank you for the info! I suspected as much because I saw one punt that was named Darwin. 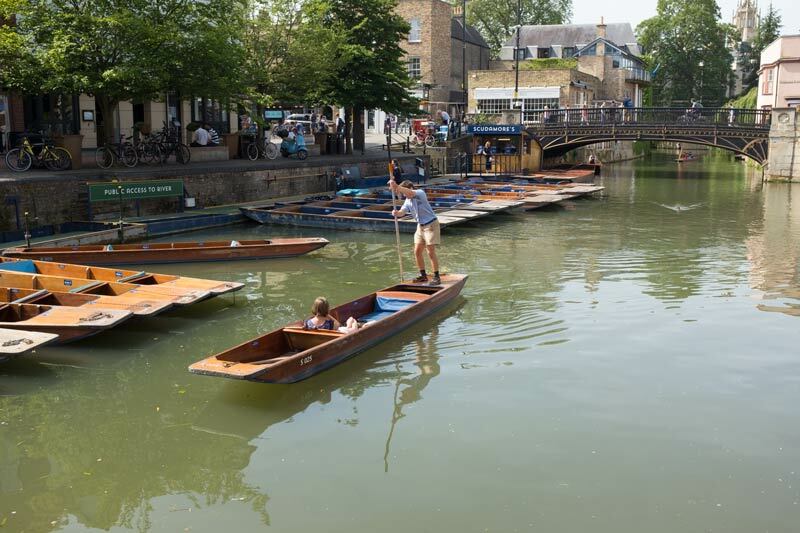 Any idea from which College the punt I photographed for this article comes? I couldn’t tell you, I’m afraid – although I’m pretty sure it doesn’t belong to Queens’- it’s in far too good a condition!